Get updates on our latest dessert catering events in the GTA! Looking for something special at your next event? Our full service dessert kitchen is always creating new exciting ideas! 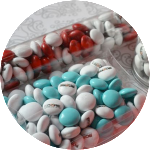 Whether it’s a logo or a photo, our printed treats give any event that extra personalized touch. 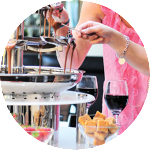 What started with a single Double Chocolate Fountain serving Toronto and the Greater Toronto Area, is now one of Canada’s leading dessert caterers! 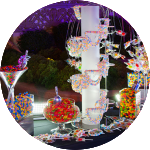 DCF & Fun Foods are here to make your events memorable with our amazing dessert catering stations, make-your-own dessert stations, carnival themed stations, and of course, our unique Double Chocolate Fountain! Working closely with you, Double Chocolate Fountain gives your memorable event a truly distinct and unforgettable finish.